The Governorship candidate of the All Progressives Congress, APC, in Abia State, Uche Ogah, has dismissed allegations that he sold his mandate to the Peoples Democratic Party, PDP. However, Ogah said he may not challenge his defeat at the election petition tribunal if his party does not seek to reclaim its allegedly stolen mandate from the PDP. DAILY POST recalls that incumbent governor Okezie Ikpeazu of the PDP was returned reelected for a second term having won the gubernatorial election with 261,127 votes to defeat Ogah who polled paltry 99,574 votes. Ten days after the results were declared, Ogah’s reluctance to petition the tribunal over the alleged malpractices that dogged the elections has generated suspicions among his supporters that Governor Ikpeazu paid him off as part of a post-election settlement deal. Reacting to the allegation, Uche Ogah in a statement he personally signed and issued to reporters on Friday, said going to the tribunal will not entirely be his decision alone. 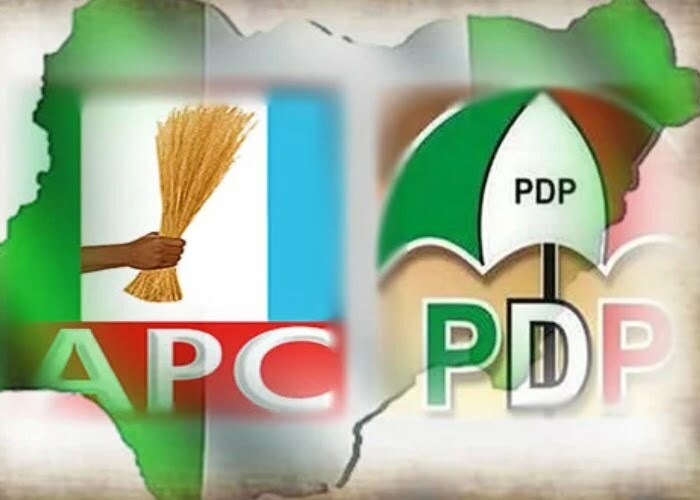 While dismissing the insinuation he compromised on his mandate, said if the APC decides to approach the Tribunal for redress that will return victory to it, he will respect the party decision in that regard. His statement reads, “My attention has been drawn to news making the round that the Governor of Abia State, Dr Okezie Ikpeazu has paid me some money as part of a post-election settlement deal so that I can jettison plans to file a suit against him at the Governorship Election Petition Tribunal. This is not true. “In 2019, I stood election as the governorship candidate of the APC. It is general knowledge that what happened on 9th March 2019 was no election. It was rather a charade. The so called election in Abia state was marred with unimaginable irregularities. We have since rejected the results and have called for the cancellation of same or at best, for it to be declared inconclusive as was done in other places. Instead, INEC chose to ignore us for reasons that have long emerged after the unfortunate manipulation of the results. “Consequently, I have continued to consult stakeholders on the next line of action. If for any reason I decide not to go to the tribunal, it is not because I had been given money. I am priceless. I can never be bought. I never came into politics because I am poor or that I want to make money. I am only motivated by my vision for the state and my interest to develop and move it away from stagnancy and reposition the state for a greater future. Going to the tribunal will not entirely be my decision alone. If I do not file a petition as a candidate, our party must. “There is, however, little or nothing I can do if my party, the APC, decides to approach the Tribunal and seek redress that will return victory to us. I am a party man and will respect any party decision in this regard. “Based on the foregoing, it is evident that Dr Ikpeazu has not offered or given me any dime to look the other way and allow him pillage our state or usurp my victory. Even though we can undoubtedly make sacrifices for our God’s own state if and when there is need to, no one should take advantage of that. “Our disposition for peace is never a sign of weakness or taken as a lack of courage. No one individual is greater than Abia State.